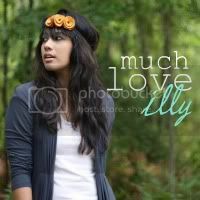 much love, illy: sponsor love: interview and giveaway with rhianne of For the Easily Distracted!!! 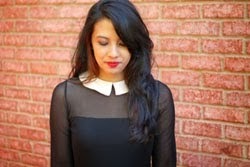 sponsor love: interview and giveaway with rhianne of For the Easily Distracted!!! i am honored to feature today's sponsor. when i first ventured into the world of discovering blog's, her blog was one of the first ones that i stumbled upon and fell in love with. i love photography and have admired her talent and photos. and if you have a love for vintage cameras and film, then just like me, you will swoon over her awesome collection. besides her blog, you'll find her artwork in both her shop and her flickr. and did i say that she rocks? well, she does. share about your inspiring shop. and of course, i love the name! three random facts about you, rhianne. 1. I love the beach - I'm happiest when I'm at the beach and its sunny. 2. I have a degree in Interior Design and I worked for a great design company in London for a year. 3. I collect cameras, I have nearly 40 now. who or what would you love to have the privilege of capturing on film? Wow, great question... I would love to photograph something that I would rarely see - something that would be a completely treasured memory and valued - like visiting the Great Wall of China perhaps or going on safari in Africa. i personally am in love with her set of Diana postcards. i love them soooo much and plan to frame them. seriously, i tend to do that with all of my favorite notecards. i especially love the one of the red phonebooths! want to lay your hands on your own darling print by rhianne herself? well, folks, it's you're lucky day (like most monday's around here - hehe)!! eek, if i were you, i would get on this...and fast! Giveaway is open to ALL readers through March 20th. I love the signpost bridlington. I'm a follower. Ohh I adore Rhianne! I love both her Diana and Holga postcards. So pretty! I've hearted her shop. I can't believe I haven't done this before. illy, i love your page! I love the Reflective mountains picture! i LOVE rhianne's blog! I'm so excited for this giveaway!! i think my fav has to be Rhosneigr Beach print. it looks so peaceful and such a beautiful place to see!! I like the print of the beach huts! phonebooth one is my fav.! Rhianne has some very beautiful, authentic pieces, the Autumn Path is my fav though. Also already follow Rhianne's blog, I found yours through hers! Already follow Rhianne on twitter! Can you tell I really want to win yet? That was my comment above too, forgot to sign it in my haste. Super cool! I love post cards. Some of her photos be great for wall art as well. red telephone b oxes and looking up at kirkstal are my most favorites!! I love the Scarborough Fair 8x10 Holga print. It is so happy! I follow @forthedistractd (awesome name) on twitter! Holy smokes that's a lot of entries! Woo! Rhianne is really talented! Great photos to choose from; I especially love "Autumn Shadows." I follow you on Twitter, of course! she deifnitely has a great blog... now off to tweet... have a great monday! Really cool blog! I like it! I love the Beautiful Shiny Sea print. I want to be there right now! I like the print of the beach huts, and I'm a follower! I love the Red Telephone Boxes print. Looooove it! Brand new follower of Rhianne's blog. I'm following @forthedistractd with the Twitter name @girlygirlmoment. Already a follower of the Twitter @muchloveilly. my favorite is the lighthouse print! hearted her shop on etsy as marchelove! following you on twitter as hunnybunny727! I'm a follower, and my favorite item in rhianne's shop (as difficult as it was for me to decide on just one thing) is the Llanddwyn Island print. i adore the Sunrise Silhouette - 8 x 10 Superheadz print!! it's soo dreamy!! I'm a follower of Rhianne's blog. I've followed @forthedistractd via twitter. Love the red phonebooths. 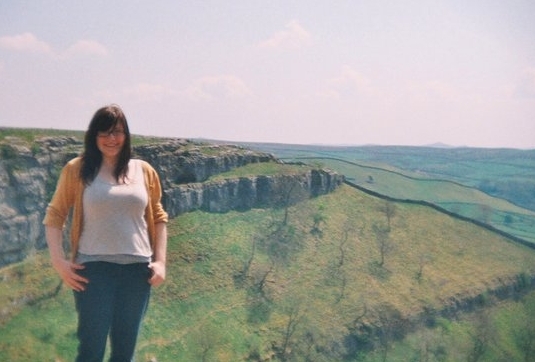 :) This is me missing England!